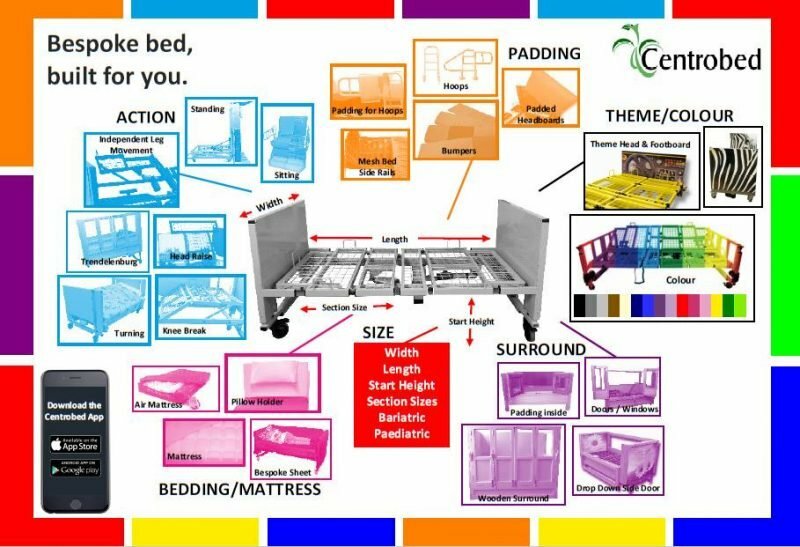 Bespoke to suit individual needs - A bed built for you. An assessment by one of our trained staff will identify a persons specific needs. These are taken into consideration, where possible, when designing the bed or cot. The picture below shows just some of the features that can be added or adapted.